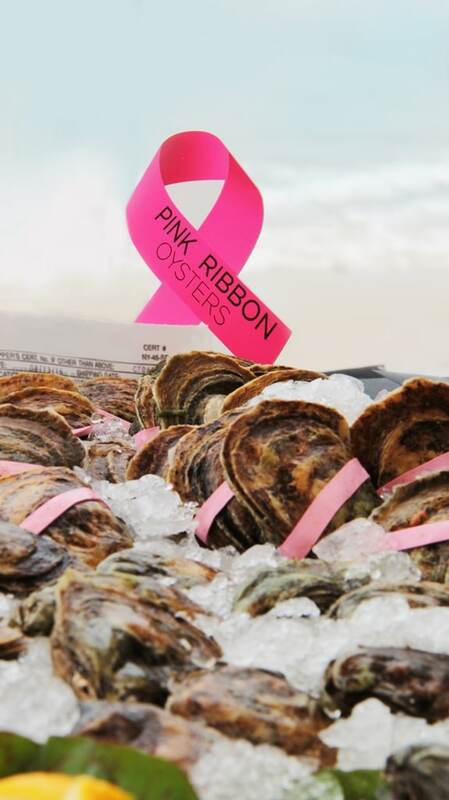 25% net revenue of every Pink Ribbon Oyster is donated to the Breast Cancer Research Foundation. BCRF is the highest rated breast cancer organization in the U.S. with an A+ rating from Charity Watch and 4:4 starts from Charity Navigator. 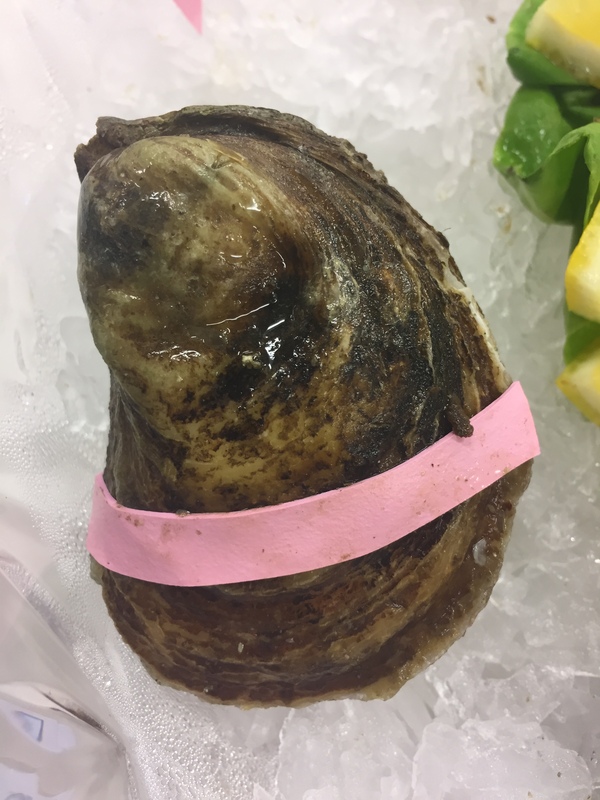 Pink Ribbon Oysters are uniformly cleaned and graded by hand to share consistent qualities: Petite, plump and without cracks, which ensures natural moisture and superlative fridge life. 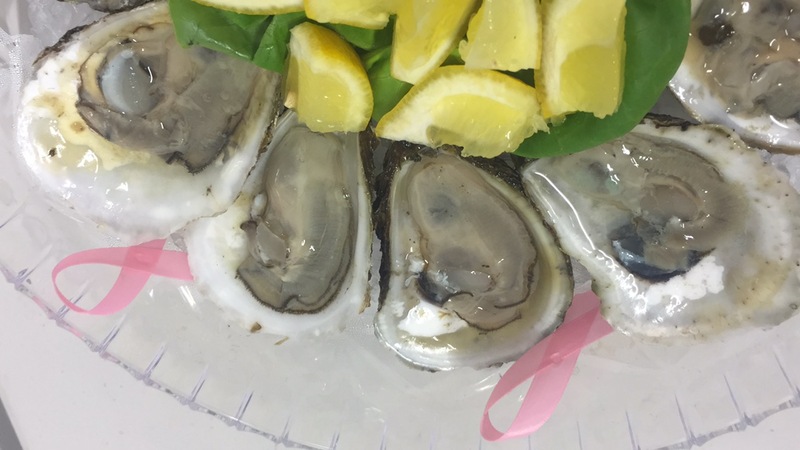 Pair these lovely oysters with a delicious blush wine – white zinfandel, pink moscato or rose to tie in with pink for the Breast Cancer Research Foundation! Give your customers a reason to keep ordering and enjoying more of these special oysters! Every dozen on the half shell helps find a cure. Have them visit www.PinkRibbonOysters.com and also follow @PinkRibbonOysters on Instagram to track Pink Ribbon Oysters’ monthly contributions. 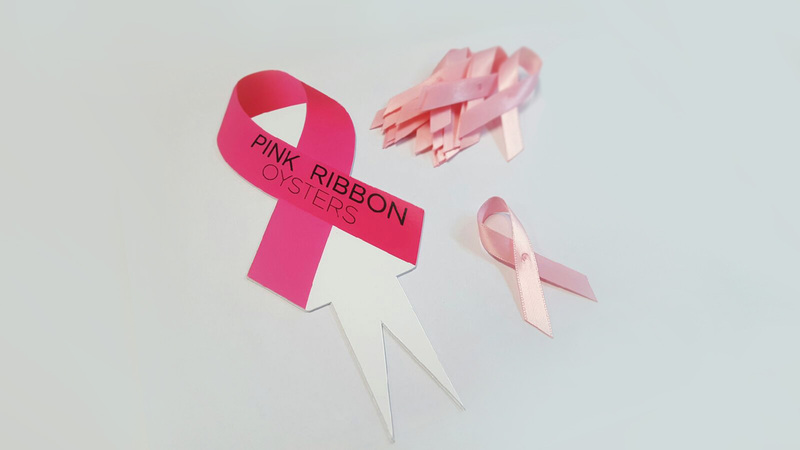 Each bushel of Pink Ribbon Oysters comes with a plastic pink ribbon to display inside your seafood case. Make sure you place it where customers can see it and let them know that 25% of the net revenue goes towards the Breast Cancer Research Foundation.